Nobody likes conflict, especially in the workplace - it can cost business dearly in lost production, sick leave, low morale and the list goes on. It’s important to resolve workplace conflict quickly and fairly. Staff conflict or poor behaviour in the workplace can quickly escalate, and even end up in court proceedings. If you’ve got workplace conflict that’s starting to impact your business, Phillips Workplace Investigations and Mediation service can help. Principle of the business, Peter Phillips, has been a manager for over 35 years, is an experienced and formally-trained investigator and mediator and is a past Senior Sergeant of Victoria Police. He has held positions in both private companies and public service, and also has experience in facilitation. Peter relates well to people, and is fair, with a good understanding of natural justice. The business is Gippsland based, with lower costs and travelling compared to Melbourne or interstate companies. Why tie up a busy HR staff member in complex investigations or mediation which they may not be trained for? A mishandled investigation or mediation may end up costlier in the long term. 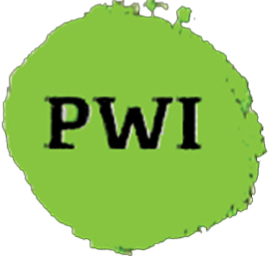 PWI can provide you with a fair, unbiased and confidential investigation or mediation and report within an agreed timeframe, leaving your HR staff to do what they do best. Give Peter a call on 0417 779241 to discuss your needs. Check out our web site at http://www.workinvestigations.com.au or email consult@dodo.com.au.